You can download this free Ruler PowerPoint Template with Editable Shapes to make awesome presentations in PowerPoint for Maths and Geometry. 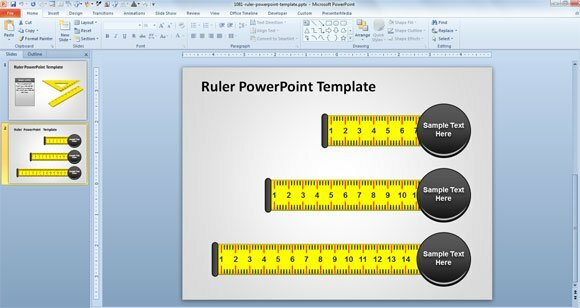 You can also download this free ruler PPT template to make other complex PPT presentations on engineering as well as measuring or surveyor PowerPoint presentations. The free squad PowerPoint template contains a nice squad design and ruler shapes that you can copy and paste to any other presentation by using the clipboard. As you can see, there are two slides inside this PowerPoint presentation with squads and ruler shapes ready to be used in PowerPoint presentations on Maths and Geometry. 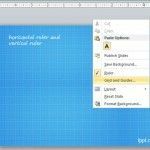 The yellow ruler illustration in PowerPoint can be copied as a vector for other graphics or you can easily change the length of the ruler to make it dynamic. 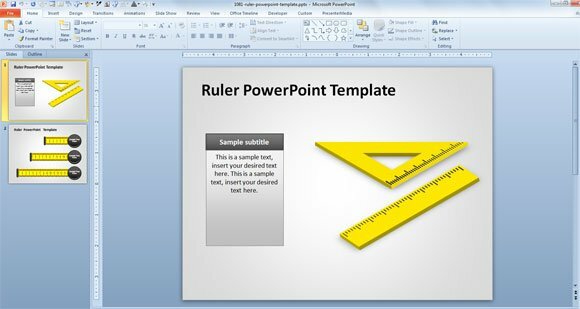 Creative Idea: You can download this ruler template to make printable rulers using PowerPoint 2010. You have different ruler length for example the 30cm ruler template, 15cm ruler template and 10 cm ruler template. One of the slides contains 2D rulers while the other one contains some simple 3D rulers and squad variants. 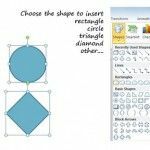 Alternatively you can download other free geometry 3D shapes for PowerPoint presentations. 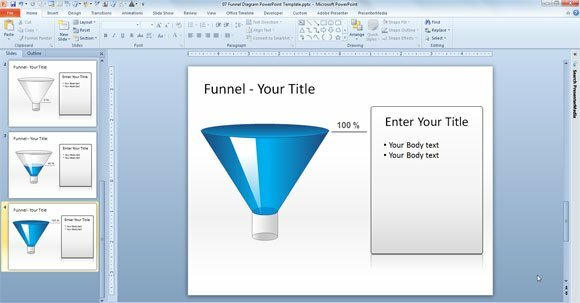 Download free PowerPoint templates and backgrounds including this free PPT template with 3D rulers and 3D Squad templates. where should i download it from?